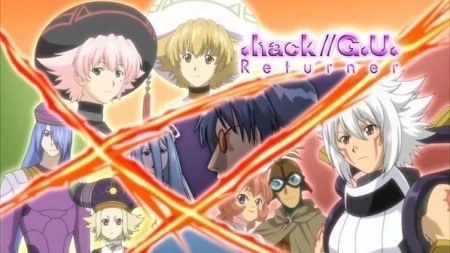 The characters from previous .hack//G.U. Games and .hack//Roots receive an email from Ovan. He is requesting them to go to Hidden Forbidden Festival where is set up a mysterious summer festival. There they find an AIDA Chim Chim who wishes to peacefully co-exist with the other players of The World. It then transforms into the word \"Returner\", so they assume it to mean that Ovan will return to The World. Watch .hack//G.U. Returner Episodes Online at Animegg.org. .hack//G.U. Returner is available in High Definition only through Animegg.org. Choose an episode below and start watching .hack//G.U. Returner in Subbed & Dubbed HD now.